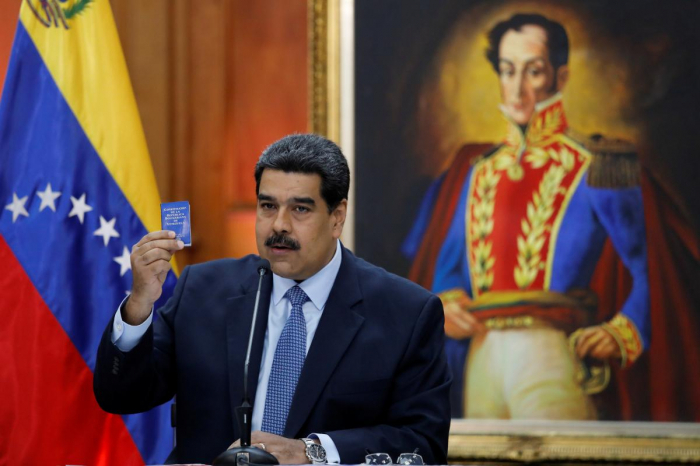 Venezuelan President Nicolas Maduro begins a second term in office on Thursday in defiance of international criticism that his reelection last year was illegitimate, further isolating the South American country where an economic crisis is fueling a humanitarian emergency. Leaders from the ruling Socialist Party have disavowed criticism of Maduro’s inauguration, which will keep him at the helm of the OPEC oil exporter until 2025, calling for rallies of support and promoting him on social media with Twitter hashtags such as #Iampresident. Opposition leaders, however, have portrayed Thursday’s inauguration as the moment at which Maduro will be internationally branded a dictator following a widely boycotted 2018 election that governments around the world described as a farce. But continued support from the military, a chronically fractured opposition and a relentless crackdown on opposition critics means that Maduro appears to face few serious challenges at home, despite the international outcry. The ceremony is scheduled for 10 a.m. local time (1400 GMT) on Thursday. Maduro’s triumphalism echoes that of his predecessor, late socialist leader Hugo Chavez, who used abundant oil revenues to flood Venezuela with consumer goods while providing heavily subsidized food and medicine. That contrasts sharply with the Venezuela of today. Inflation is fast approaching 2 million percent, leaving a monthly minimum wage worth less than a carton of eggs. Some three million people have emigrated since 2015 - many on foot - to escape rising malnutrition and disease, according to the United Nations. Bank notes that once paid for months’ worth of groceries are now tossed in trash cans, piled into useless stacks or even woven into multi-colored women’s handbags sold by street merchants. Maduro last year won reelection despite the economic chaos in large part because the opposition boycotted the vote, in which Socialist Party activists openly made payments to voters within a stone’s throw of polling stations. Countries around the world condemned the vote, including the United States and Venezuela’s neighbors in Latin America, leaving Maduro backed by just a handful of stalwart allies from leftist governments. While few countries plan to shutter embassies or sever ties with the Maduro government, according to diplomatic sources, the vast majority will not send diplomats to the inauguration as is customary. The government feted the arrival of foreign dignitaries who traveled for the inauguration, including the president of South Ossetia - a disputed territory in the Caucasus region that is rarely described as nation. That sparked guffaws from opposition critics who called it a signal of isolation. Fury in 2017 over Maduro’s aggressive sidelining of the opposition-run Congress led to a four-month wave of protests that killed over 100 but failed to shake him from power and left his adversaries frustrated. While politically motivated demonstrations have faded, protests take place nearly every day to demand salary improvements, access to food and medicine, or improvements to spotty power and water services. Less than 24 hours before Maduro’s swearing in, troops in the second largest city of Maracaibo fired tear gas at informal vendors who were defying an order not to set up stalls at a market in the city center. The vendors later looted nearby shops. “Maduro is going to be sworn in and I don’t think it changes anything,” said Angela Perez, 26, who works the cash register at a fast-food restaurant in the city of Valencia, adding she does not sympathize with Maduro or his critics.